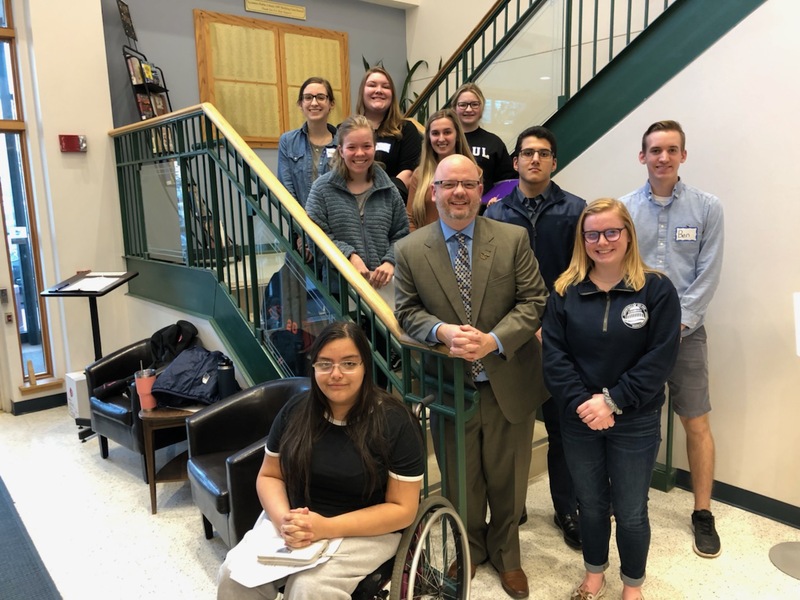 State Representative Jeff Keicher, R-Sycamore, met with his 2019 Youth Advisory Council this week to discuss the legislative process and current issues of importance to local youth. The Council consists of students– juniors or seniors–from high schools within the 70th House District. Keicher says the feedback provided by the Youth Council is a vital aspect of his ability to represent the needs and concerns of young people in DeKalb, Kane and Boone Counties. Members of the Youth Advisory Council are chosen by their school and serve as representatives of the student body. Keicher feels student input is critical for the state and the future of democracy. The Youth Advisory Council experience lasts into the spring legislative session and will culminate in a trip to Springfield. Youth Advisory Council members will get to meet with elected officials, legislative staff and lobbyists as well as tour the Abraham Lincoln Presidential Library and Museum and State Capitol.